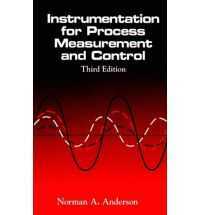 The perennially bestselling third edition of Norman A. Anderson's Instrumentation for Process Measurement and Control provides an outstanding and practical reference for both students and practitioners. It introduces the fields of process measurement and feedback control and bridges the gap between basic technology and more sophisticated systems. Keeping mathematics to a minimum, the material meets the needs of the instrumentation engineer or technician who must learn how equipment operates. I t covers pneumatic and electronic control systems, actuators and valves, control loop adjustment, combination control systems, and process computers and simulation.